Can you believe it's almost August? We are half way through summer and I feel like it's going way too fast. We've been on holidays for the past few weeks but June and July have also been quite busy in terms of press events for me. 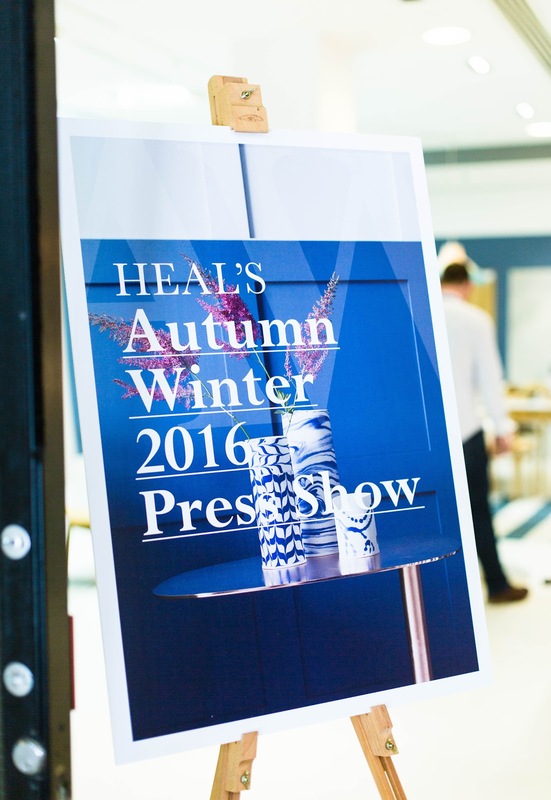 I attended Heal's AW16 press show earlier this month and it gave me a nice insight into upcoming trends in the interiors industry. If you're a frequent visitor on the blog, you probably know by now how much I love blue at the moment. 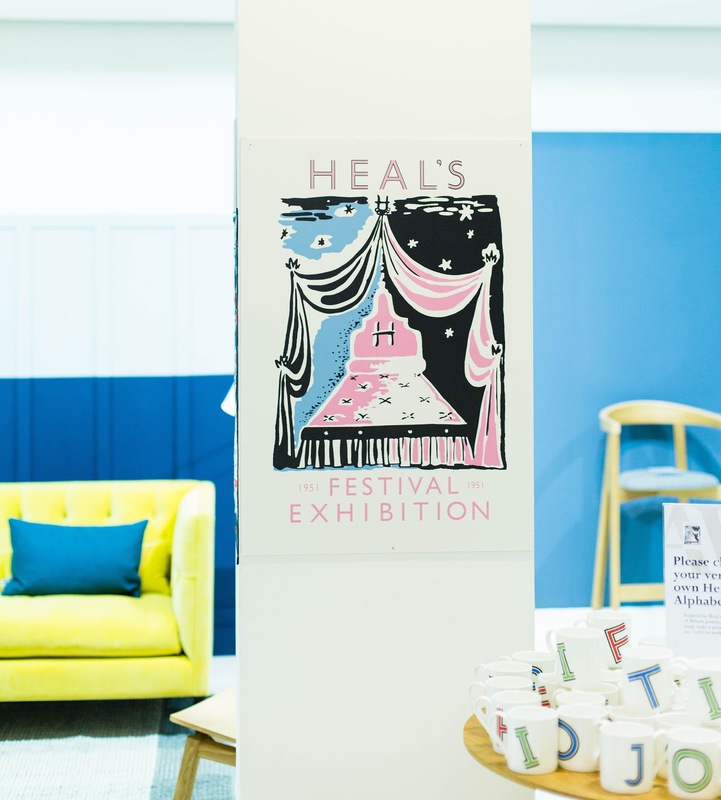 Luckily for me, blue was a pretty predominant colour at Heal's press event. It's such a popular colour right now and I can see why. 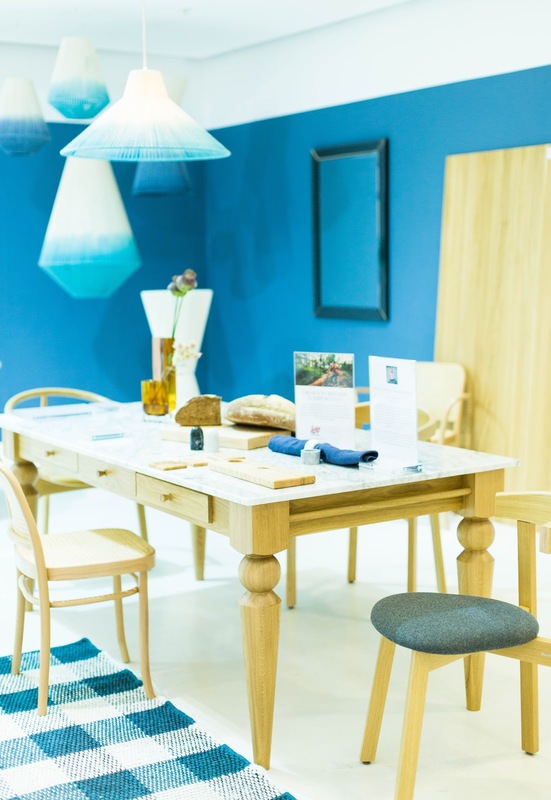 Decorating with blue is easy since it works very well in both contemporary and country style homes. The darker the shade, the bigger the impact, and I absolutely love dark navy colours as much as light pastels. It all depends on the mood I'm in! 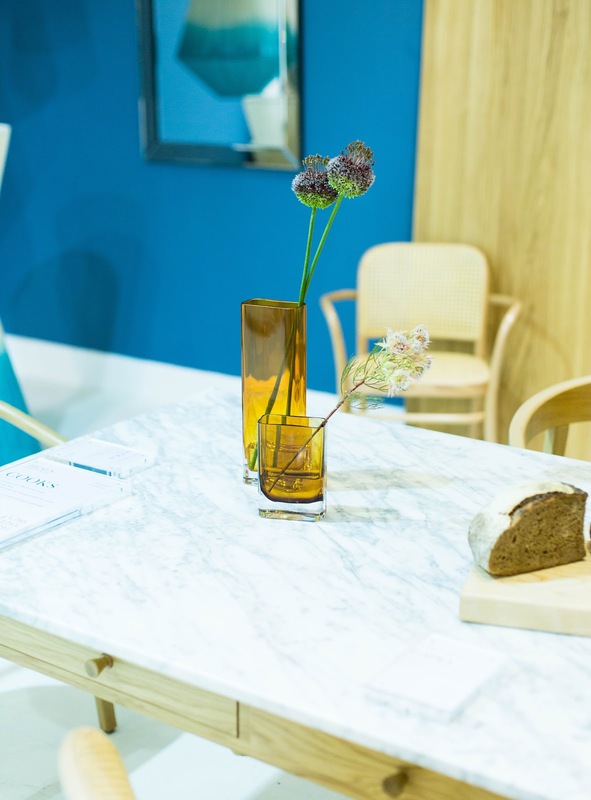 You just cannot go wrong with blue in my book and I also adore blue interiors with the occasional pop of colour. Accessories really make the decor in my opinion, so naturally these pretty pots were the first thing that caught my eye when I arrived at the event. 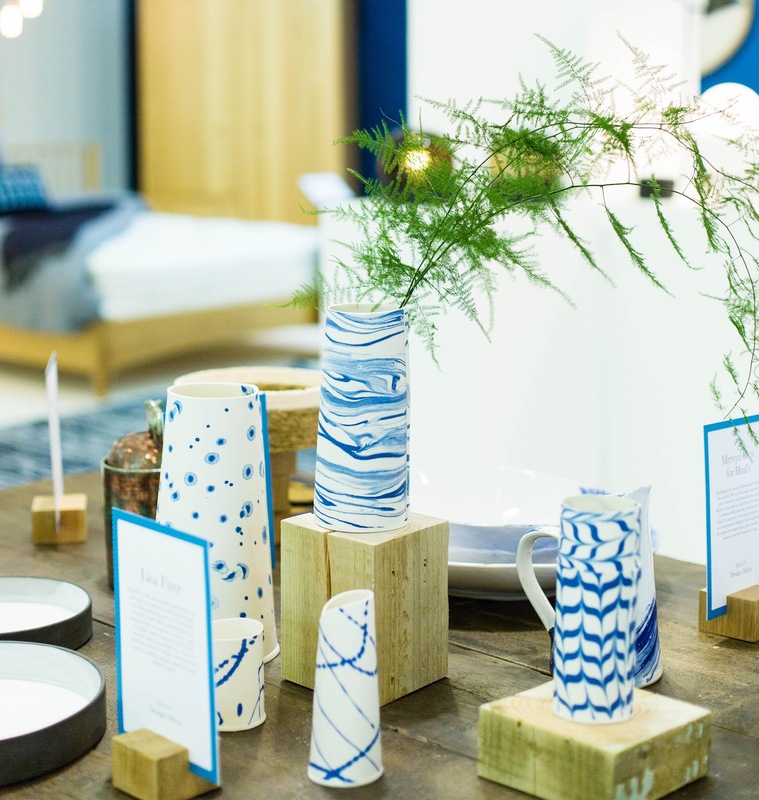 Heal's Design Africa initiative brings together a stunning selection of home accessories from designers across South Africa and Swaziland. Lisa Firer's beautiful blue and white porcelain vessels are certainly easy on the eye. 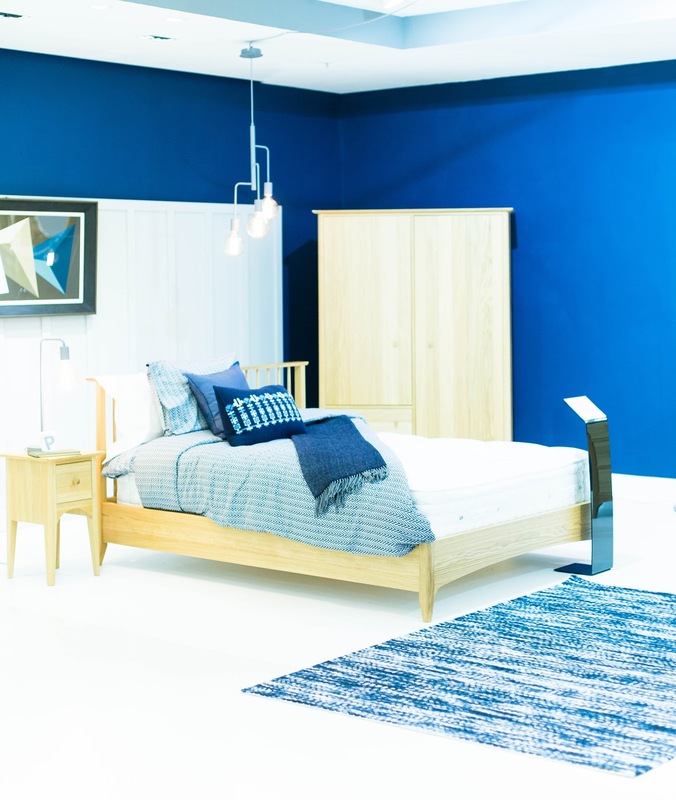 They really are a piece of art on their own and go perfectly with a contemporary Scandi look. All pieces are handmade and have their own story to tell, which illustrates the pure talent coming from the emerging artists throughout the continent. 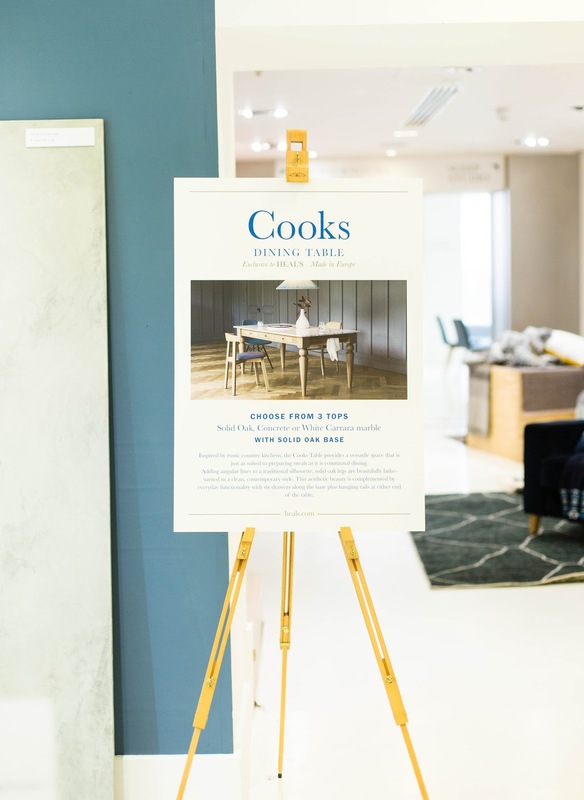 Heal's Cooks Table range is absolutely stunning in person. It provides a versatile space that is both suited for dining and preparing a meal. What a great space saving idea for smaller apartments! 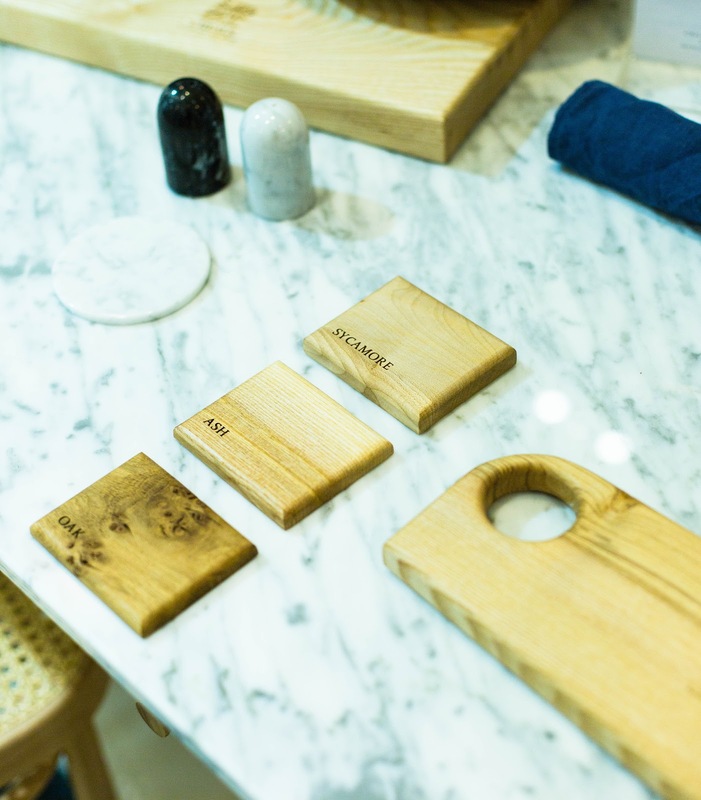 You also have three different options for the worktop; marble, solid oak and concrete, and they have all been pretreated so require zero maintenance what so ever. I love the marble worktop but concrete was definitely my second favourite material. It's quite unusual and minimalistic, and looks nicely textured which makes it quite interesting. The stunning Blythe bedroom range will work very well in both traditional and contemporary type of homes. The light textures and contrasting tones of the exclusive Herringbone Jaquard Bedding is the perfect complement to the range. I adore the rich navy colour here - it's versatile and timeless so you don't have to be worry about getting bored of it anytime soon. The Balmoral sofa was probably one of my favourite pieces of furniture at the event. 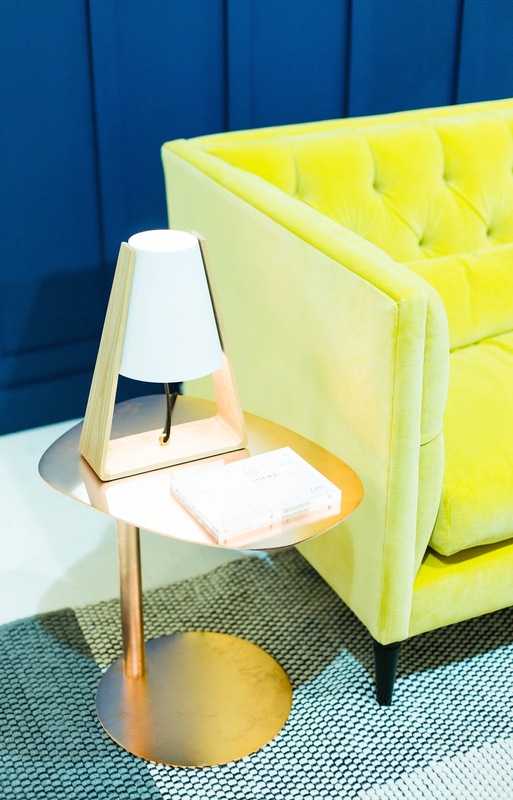 The design is elegant and minimalistic, but the bright yellow colour makes sure that it doesn't just blend in with the décor. This is definitely one for the sophisticated living spaces. 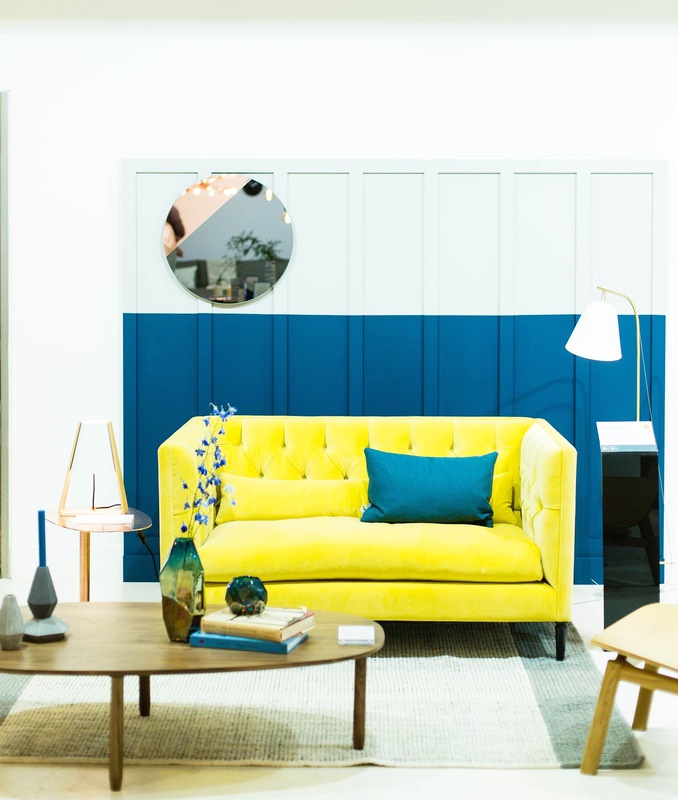 It also goes to show that bold colour choices pay off and can look incredibly smart when paired with the right kind of furniture and accessories. The Balmoral sofa is made to order in the UK and is available in a range of Heal's fabrics. 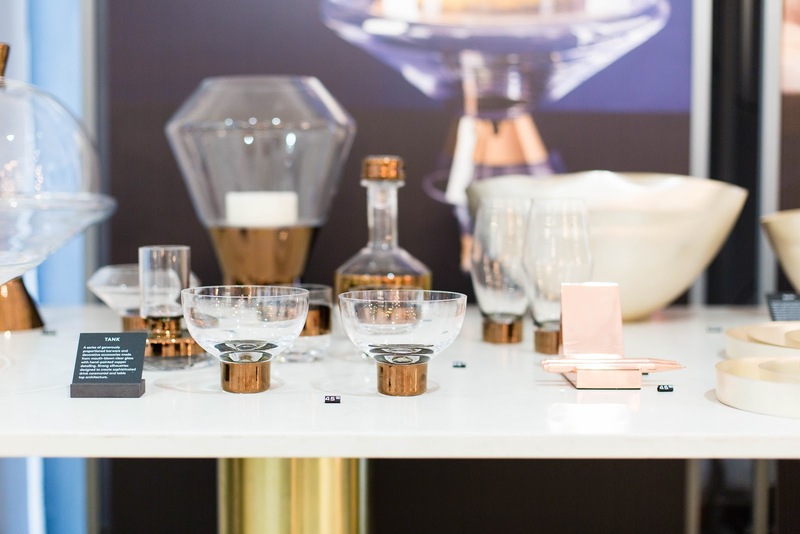 I wonder if anyone else is obsessed with Tom Dixon home accessories at the moment? He creates amazing everyday pieces out of copper, metal and cast iron that are both practical and aesthetically pleasing. I think my all time favourite is his Etch Tea Light Holder but I was thrilled to see that his new glass range feels a bit more feminine. Or what do you think? Even though his designs are minimalistic, the materials, especially metallics, is what makes them luxurious and unique. 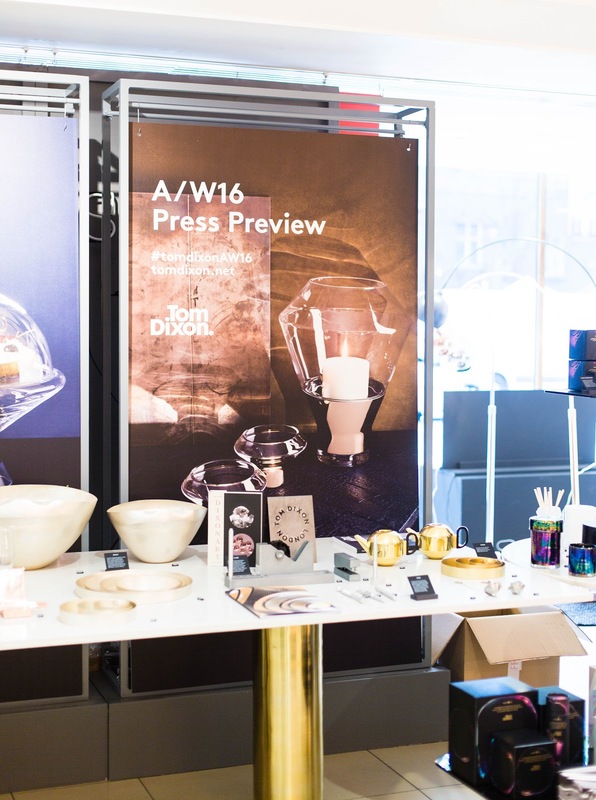 I attended Heal's 'Meet the Designer' event last year where he was giving us an insight into the inspirations and processes behind his iconic projects and new collections. I really enjoyed his talk and got to see a whole new side of him! Even though I'm enjoying our little heatwave at the moment, I'm starting to get a little excited about the next season and all the new accessories and trends that are out there. My favourite autumn/winter interior trends at the moment are; blue interiors, metallics, marble and industrial style lighting, and luckily I do not see any of these trends disappearing anytime soon. What interior trends inspire you at the moment? At SURFACECO we fabricate, provide and install all kinds of solid kitchen worktops in Reading and surrounding regions. Using numerous materials such as granite, marble or quartz worktops for your own kitchen.